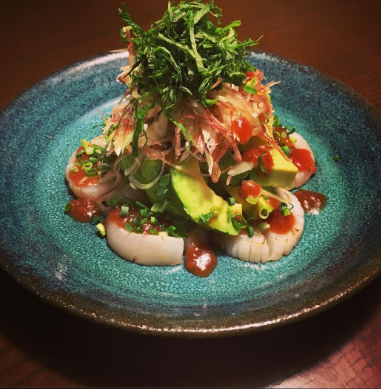 Broiled scallops and avocado topped with fresh herbs and dressing made from pickled plums, Ponzu sauce and sesame oil. 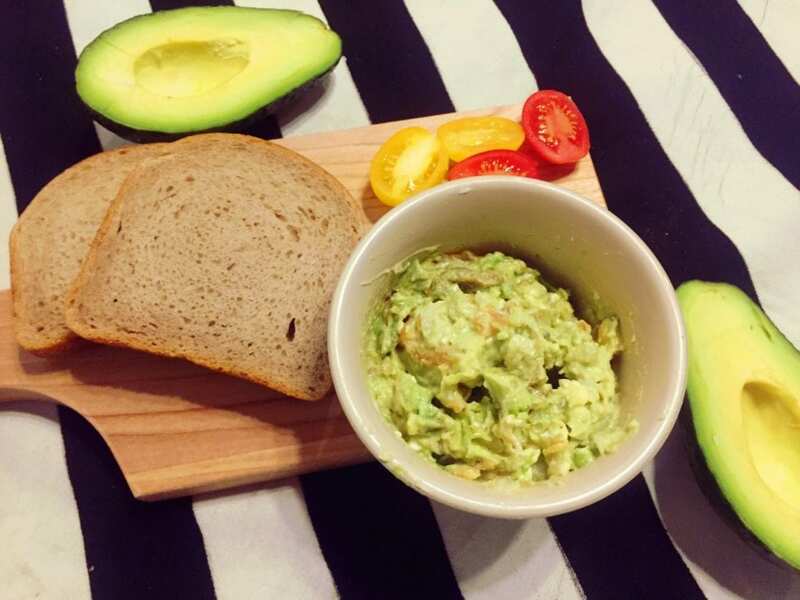 New Zealand Avocado is fresh and creamy compared to Mexican Avocado, thus it is good with Japanese flavor. 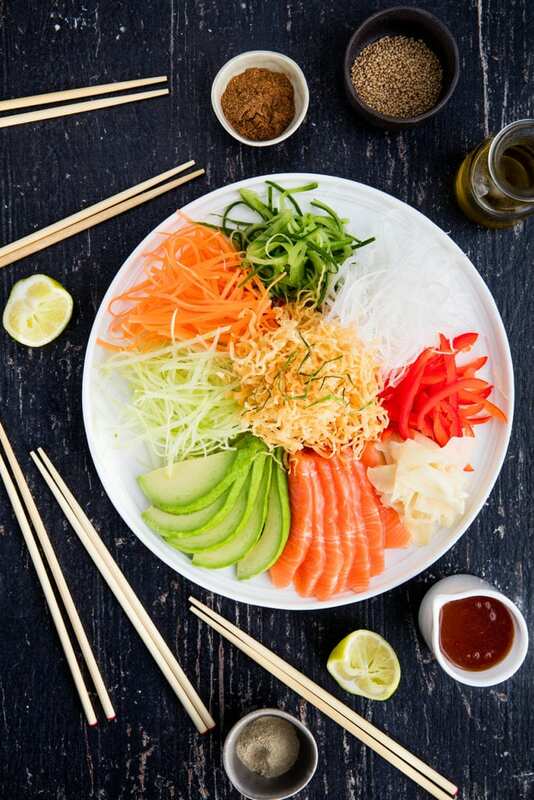 To make the dressing, in a bowl, combine the mashed 2 sweet umeboshi plums, 2 tablespoons of ponzu sauce. Whisk in 2 tablespoon sesame oil. Slice 4 – 5 fresh scallops crosswise into half (broil if desired). 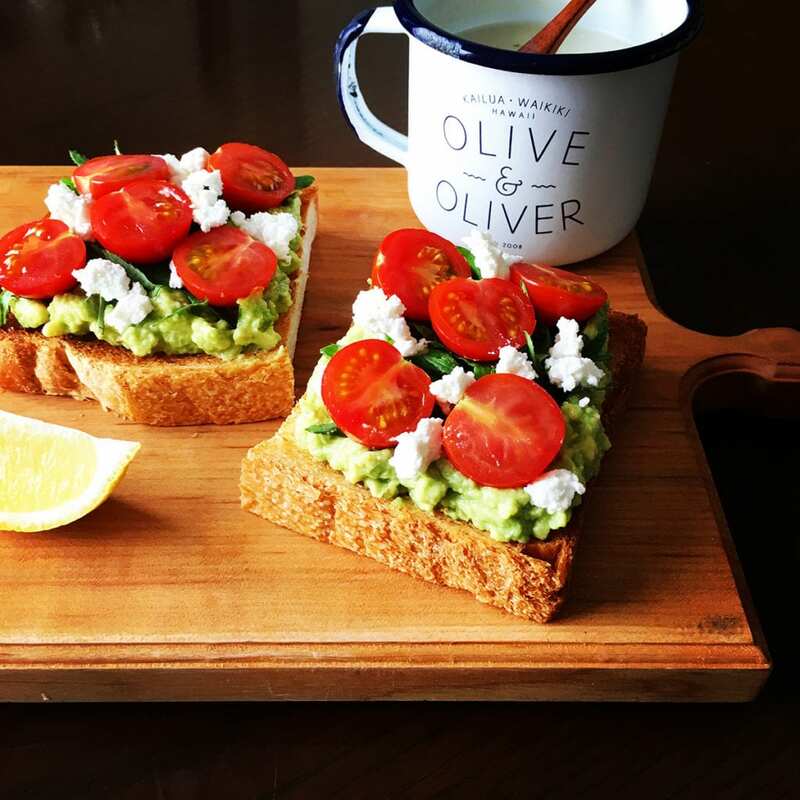 Cut peeled and deseeded avocados into bite-size. Place the scallops on a plate and arrange avocados over them. 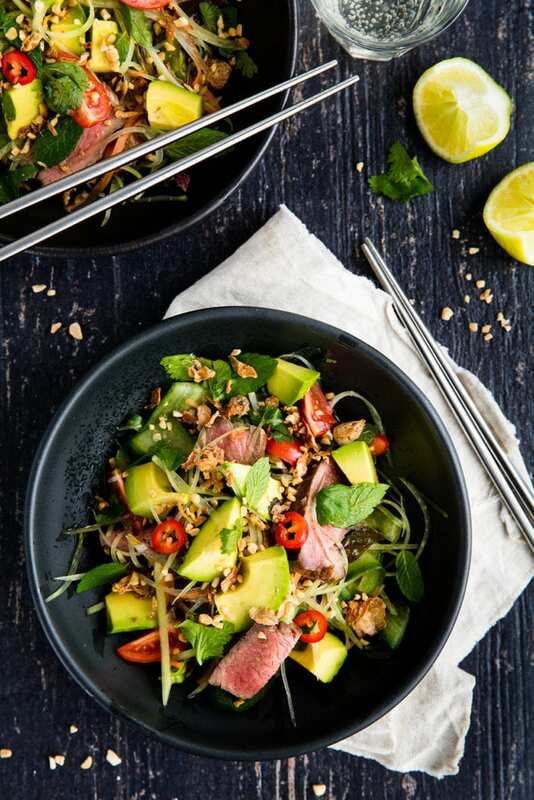 Drizzle plum dressing and sprinkle with desired herbs such as Japanese gingers and shiso leaves in thin stripes (soak in water) and chopped green onions on top. Share the post "Broiled scallops and avocado topped with fresh herbs"